What started as a $5k side-project turned into more than English film-producer Bertie Stephens had originally bargained for. Two months after a misunderstanding during a chance meeting with a stranger, Stephens’ startup was sitting on a $1m investment and a $4m valuation. Here’s the story of Flubit. Flubit is a platform that will attempt to change the face of buying online. It plans to empower the consumer to bring down prices, and its sole goal is to “provide online shoppers with a platform that will enable them to seek out the best possible price on an item they wish to purchase.” Not another Groupon wannabe, surely? The company may currently be of a modest size, but one of its bold ambitions is to take on one of the most talked about Web companies in recent times. But its model will be different to Groupon – it claims to have created a sustainable business model. The premise is that daily deal websites such as Groupon, Living Social and KGB look good from the outside, but on closer inspection they’re “one step short of evil”, says Bertie. There are some great deals to be had, but with retailers having to pay anything up to 50% in commission, sometimes more, the retailers don’t care too much for the customers when they show up with large smiles displayed across their faces. 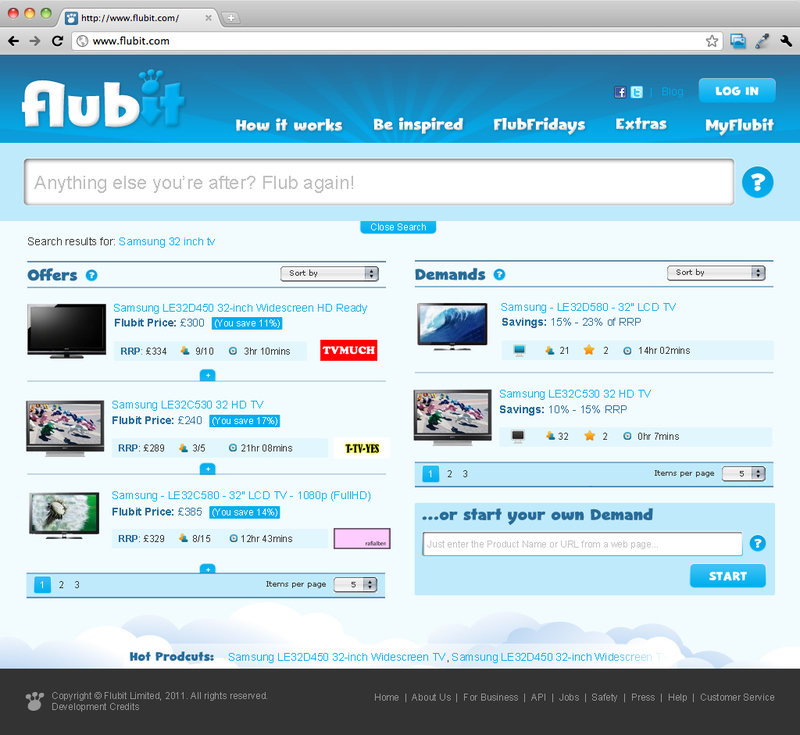 And this is where Flubit aims to save the day, with a much more palatable offer for retailers. With Flubit, users say what they want to buy, Flubit groups these users together by product type, and the relevant retailers are automatically informed. This allows retailers to sell in volume (at a discount) to targeted, online consumers. Flubit takes from 2.5%-6% in commission. Bertie’s then colleague, Adel (who has since become a founding partner in Flubit), had a chance encounter with a stranger who mentioned he was “looking to invest in something”. Adel mentioned Bertie’s Flubit idea, and before he knew it Bertie was off to a meeting that evening with a man he’d never even heard of before. The French businessman was based in South Kensington, London, and part of the half-hour pitch entailed more than a few financial questions. How much did Bertie need? “$5,000 to build the website framework”, he retorted. At the end of the meeting, the mysterious Frenchman stood up, shook Bertie’s hand and said that $50,000 wasn’t much money for the idea they’d discussed. 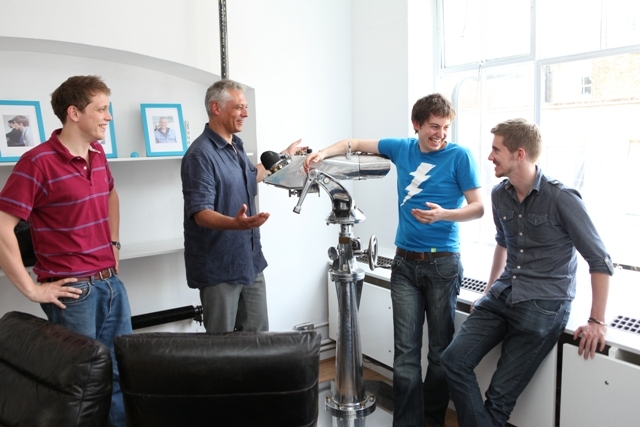 In that two-month period, Bertie had become CEO of Flubit.com, gained $1m in funding from four Angel investors and secured offices in London’s Silicon Roundabout which will house more than ten employees. 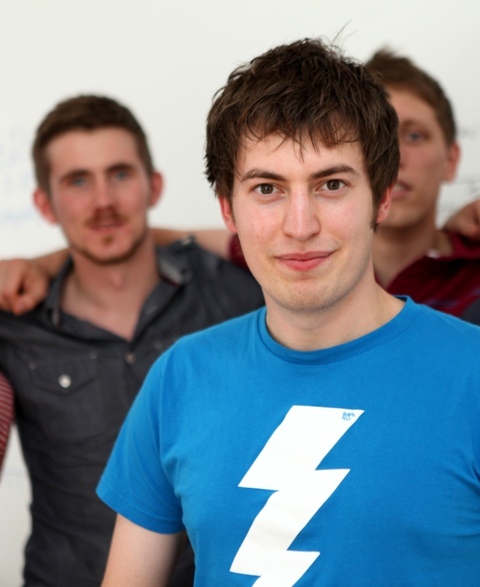 After the first round of funding, Flubit was valued at $4m, according to Bertie. That’s about as ‘whirlwind’ as any startup gets. FlubLite launches at the end of July, and this beta version will be the precursor to the site’s main launch which, if all goes according to plan, should be at the end of August. With a few weeks to go until beta launch, Flubit has already secured over 10,000 sign-ups, a deal with fashion outlet Hawes and Curtis, and many more in the pipeline. But Bertie isn’t living the high-life just yet. 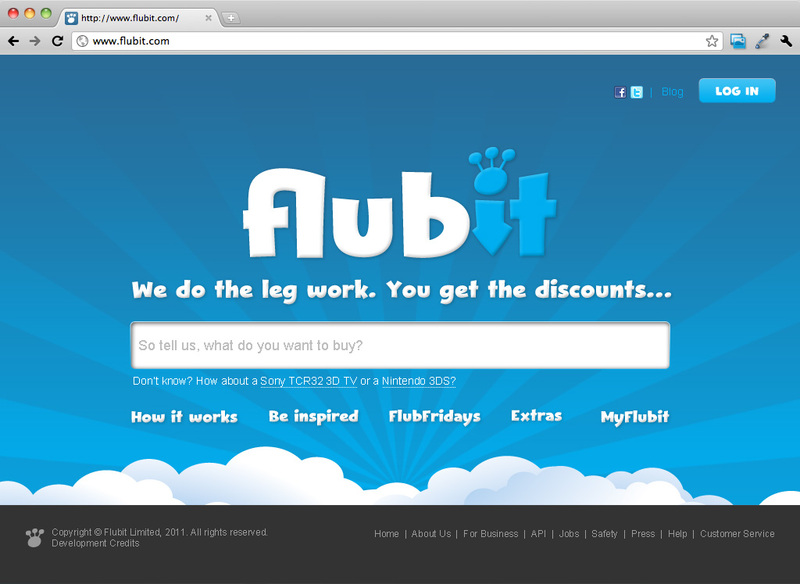 Whether Flubit goes on to strike Groupon down with its flubby little fist remains to be seen. After all, the online discount space is very crowded. But it has been a remarkable growth story for Bertie and Co, so watch this space – you could be hearing a lot more from these guys in the future.